Electric Fence, Eight Light Voltage Tester. The tester detects the voltage of the fence line between 600 and 7000 volts using a neon light system. A good fence line should have about 3000 or more volts running through it. Less than this will not give a high enough shock for stock to respect the fencing. 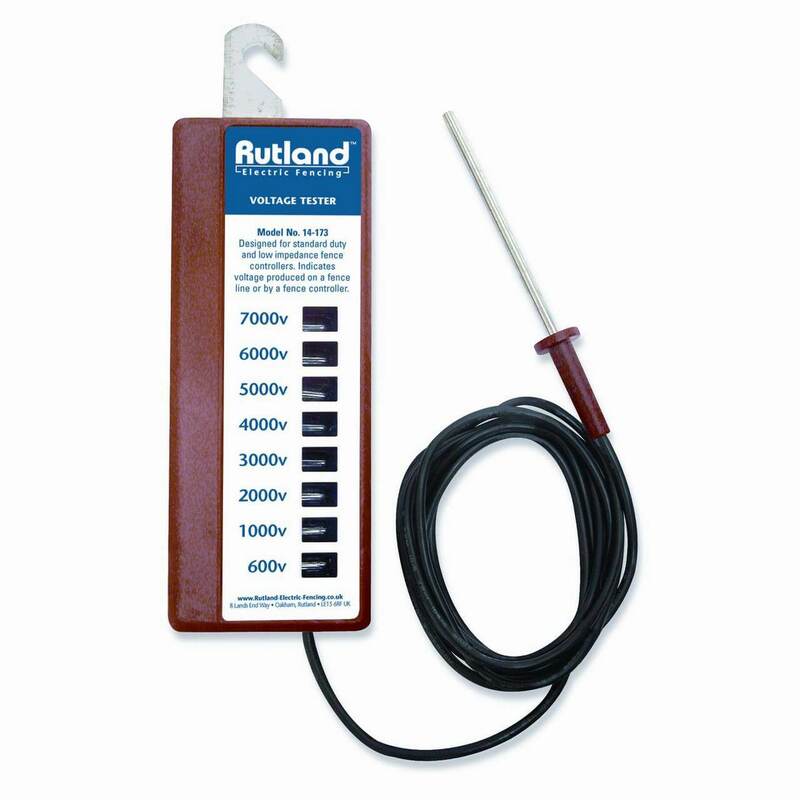 The best place for the fence line to be tested is at the point furthest from the Energiser.